Success in the business world depends on quite a few different factors. One needs to consider market demand, advertising, competitors, manufacturing and any number of other issues. But there’s one unifying factor which influences success in every part of the business world. Technology provides instant advantages when working with any area of business. However, it’s equally important to remember that early adopters of emerging technologies in business have advantages over the competition. Consumers seldom consider the overall operating expenses involved with business transactions. But anyone who needs to accept credit cards within their business will be well aware that it really does cost money to make money. This is one of the reasons why the push for mobile payment solutions is so exciting. Mobile payment solutions use smartphones as the main point of communication between billing systems. The devices are so common these days that it’s almost always a safe assumption that people will have one on their person. It’s clearly convenient for customers, simply due to increased ease of use over credit or debit cards. But at the same time it’s usually going to lower operating expenses for business owners as well. Only about 19% of the population say that they use mobile payments on a regular basis. But as smartphone developers push for it, one can assume that adoption will grow over time. The internet has done an amazing job of bringing people together. It wasn’t so long ago that talking to someone on the other side of an ocean would come only with considerable costs. Now anyone can do so over the internet in a wide variety of inexpensive ways. But a new technology called the internet of things will link goods in the same way that the standard internet links people. For example, the internet of things will be able to operate as an autonomous inventory management system. On a consumer level that could mean a refrigerator that tells people when they’re running low on milk, cheese or any other item. But on a business scale it could tell stores which items are in need of restocking. Or it would be able to instantly tell business owners about purchasing trends as various goods fly off the shelf. It will essentially let inventory talk to the store selling it. It’s estimated to be an upcoming $19 trillion industry. 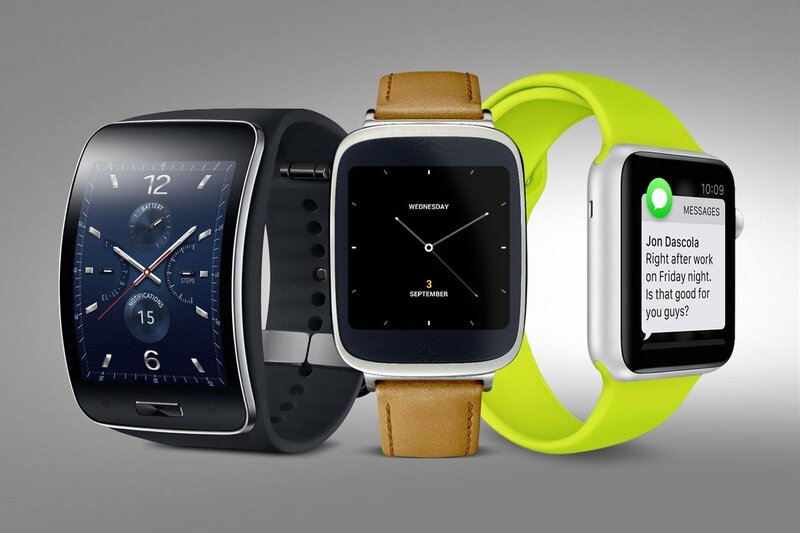 Smartwatches and other wearable computing devices have faced some challenges with the public. The complex play of aesthetics and functionality is still something manufacturers aren’t fully decided on. But these devices are making quick inroads within other markets. The business world has already made a big push to provide employees with tools for their smart devices. For example, Salesforce recently released a full suite of twenty different business related apps for the Apple Watch. It seems certain that this trend will continue as more and more companies see just what these devices are capable of. Other companies see smartwatches as a way to instantly put employees on the digital radar. Large companies lose a surprising amount of employee time simply due to security measures. The time spent checking ID cards and logging workers in for the day is time which could be spent more productively. Some companies are making a push to use smartwatches as an electronic ID that would speed up this process. One might assume that the average business would have already made the switch to cloud computing. However, it’s important to remember that cloud computing isn’t an all or nothing endeavor. The current stats show a 95% cloud adoption rate among companies who have more than 1,000 employees. However, it’s also typical for only one fifth of a company’s applications to run on their cloud based platforms. The adoption of cloud computing is a business reality right now. But making full use of the cloud’s potential is something that should be considered an emerging technology in business. The slow speed of the transition is quite understandable. It’s roughly equivalent to the time it took to move from older operating systems to more modern variants. But the advantages of going into the cloud are significant enough to be a strong motivator for any company. Increased productivity, security and uptime can all be had fairly easily by fully moving to cloud based platforms. Anyone would be forgiven for thinking that Google Glass had been abandoned. It was set to become the next big thing from Google. But it seemingly disappeared after the public beta testing finished up. But in reality it just moved from the public to private market. Google is pushing Glass as a game changer for the enterprise market. The general public seemed unsure of what to do with the technology. But in a business setting there’s no need to match tool to job. The application of the technology can be set by a company and instructions specifically tailored to meet those goals. In doing so Glass is able to provide real time data that’s always in someone’s line of sight. This can range from stock performance to client information. One of the most impressive things about it is how easily Glass can be tailored for any given company. 3D printing is another technology which is already fairly common in some circles. What makes it an emerging technology in business is the number of advances still to be made. Right now 3D printing tends to be limited to smaller scale models. Business use will usually involve the creation of plastic based models for use in prototyping. It’s essentially a step beyond technical schematics. This is useful, but there’s far more to look forward to. The next big breakthroughs in 3D printing will involve larger scale construction and use of metal. Both can currently be done to some extent. But in the future it should be possible to quickly construct new buildings and electronics using 3D printing. This is one of the emerging technologies in business that can quite literally help a company quickly emerge in new locations. Digital currency is a step beyond simply using digital tools to transfer funds from one account to another. Digital currency, also known as cryptocurrency, has a number of inherent advantages when compared to standard cash values. And of course there’s disadvantages as well. But the most important part of cryptocurrency is the simple fact that it’s a new alternative to existing systems. And one which puts far more control in the hands of the people working with it. Whether cryptocurrency is a good match for any given company or individual is difficult to say. But one can be certain that having support for it will quickly make a business more attractive to whole new markets. Even if a company isn’t using cryptocurrency internally, there will still be an increasingly large amount of money to be made by allowing outside transactions with it. Digital currency is an emerging technology in business which can be implemented today in order to take advantage of future adoption by the general market. Artificial intelligence might sound more like science fiction than an emerging technology in business. But artificial intelligence, or AI, is already widely used in the business world. However, so much of an AI’s work happens behind the scenes that the average person isn’t even aware it’s happening. AI is assisting in everything from taking voice commands over the phone to matching people’s faces to a name within photos. Future growth of AI will allow it to directly aid in a company’s overall business plan. A good example of this comes from use of AI to predict market trends and trading decisions. General cognition and problem solving has been one of the more difficult aspects of artificial intelligence. But even today companies are seeing tremendous improvements by integrating AI into systems. The rate of advancement suggests that AI is one of the most important emerging technologies in business. It’s important to note the general availability of these emerging technologies in business. The majority of them already exist right now. To be sure, most are still in a very early stage when one considers where they’ll be in the future. But the best way to get an advantage with emerging technologies in business is to begin using them before the competition. Any company can start using these tools to impact their own growth. As the underlying technology advances, the company will reap similar benefits.